The Dog Super Nanny - Karen Fazio, CDBCKaren Fazio, CDBC has nearly 14 years experience working with complex behaviors effecting dogs and cats.﻿ In addition to her professional behavior certification she's a certified Fear Free professional.She specializes in obedience training as well as chronic behavior issues such as separation anxiety, fears, aggression, phobias, medically-related issues and more. Training takes place in the home where it often exhibits the most challenges. In home training is one of the best ways to train because it takes place in the environment in which most owners are experiencing the most challenges. Fazio is the owner of The Dog Super Nanny and holds the distinquished position of Director of Behavior at Oakhurst Veterinary Hospital in Monmouth County, NJ.﻿Her expertise in behavior is nationally recognized and has earned her syndicated pet columns in Inside Jersey magazine﻿ and on NJ.com. Karen has been featured on Martha Stewart Living and WOR public radio. She's also the former host of her own live radio show. Past guests included Victoria Stilwell, Dr. Ian Dunbar, Dr. Brian Hare, Dr. Nichaols Dodman, among others. 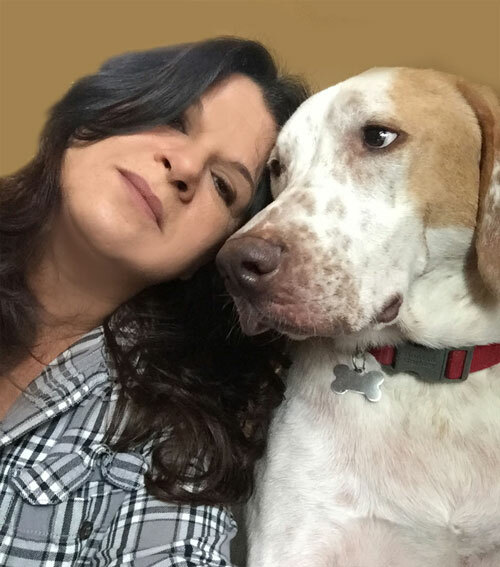 She specializes in obedience training as well as chronic behavior issues such as separation anxiety, fears, aggression, phobias, medically-related issues and more. Training takes place in the home where it often exhibits the most challenges. In home training is one of the best ways to train because it takes place in the environment in which most owners are experiencing the most challenges. Her expertise in behavior is nationally recognized and has earned her syndicated pet columns in Inside Jersey magazine﻿ and on NJ.com. Karen has been featured on Martha Stewart Living and WOR public radio. She's also the former host of her own live radio show. Past guests included Victoria Stilwell, Dr. Ian Dunbar, Dr. Brian Hare, Dr. Nichaols Dodman, among others. ﻿For an appointment, or more information call Karen at 732-533-9376. Copyright 2011 The Dog Super Nanny. All rights reserved.